As you read in the title, I am beginning a PhD in history in France, and I will work on Sega, which is a subject that, as far as I know, has not been explored by academic scholars yet (as video game history to a certain extent). The chosen period covers Sega history from the beginning to 2001, the year they decided to stop producing consoles. I chose Sega mostly because it represent well the expansion of Japanese video games, and of video game industry in general. So I will work with both a cultural and a global history perspective. First of all, I would like to thank A LOT the Sonic Retro community for making Sega Retro, a valued and reliable source. The amount of information contained in Sega Retro and Sonic Retro would have been impossible to collect alone during the time of a PhD (during a lifetime ? ), and the numerous scanned materials are inestimable sources for an historian, that will permit me to push my analysis way more far. So in case you doubted the usefulness of your work on Sega Retro and Sonic Retro, please be reassured. That being said, I have several questions that came to me since the beginning of my research, and, as you may have information to answer it, I would like to request your help, if it's not too much to ask ! 1) I am currently working on a database which would gather all the games released on Sega consoles (and I may do the same for arcade games later). I began creating it by hand on the basis of the games’ notices on Sega Retro, but it seems it will be a long and dull task. I was wondering if the database of the Sega Retro wiki is accessible, and if it would be possible to get the basic information about Sega games (name, year, developer/publisher…) in a single file. It's an important thing to me as it will permit me to do a quantitative study and understand the changes in Sega's production (who developed the games ? where are they released ? when ? how many players ?...) with reliable statistics. 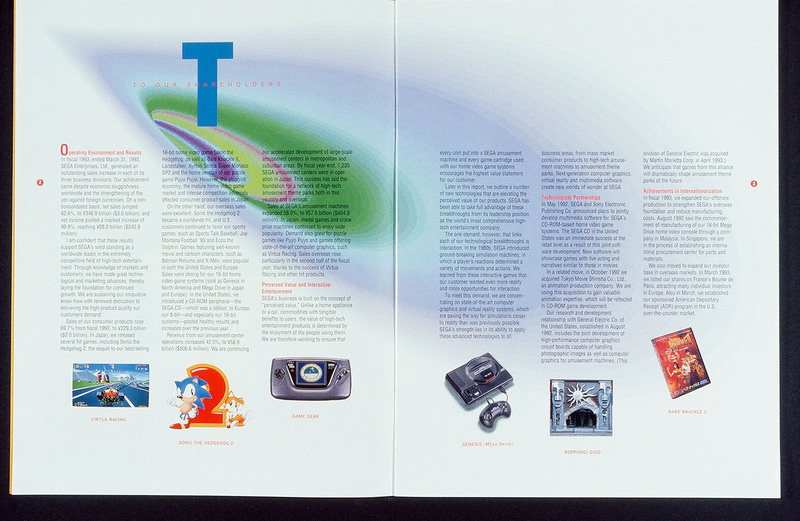 2) The Sega annual reports are also an important source to me as they furnish figures on the company. However, the documents on Sega Retro begin in 1998, and I would like to go back earlier. Does someone has annual reports before this date, or even know if these documents were published before 1998 (even in Japanese) ? 3) I am also looking for sources from inside Sega : any documents that would reflect the way Sega worked (employees register, communication between the parent company and the subsidiaries, internal memos…) may be interesting. It is currently the most difficult part of the sources to find for me. 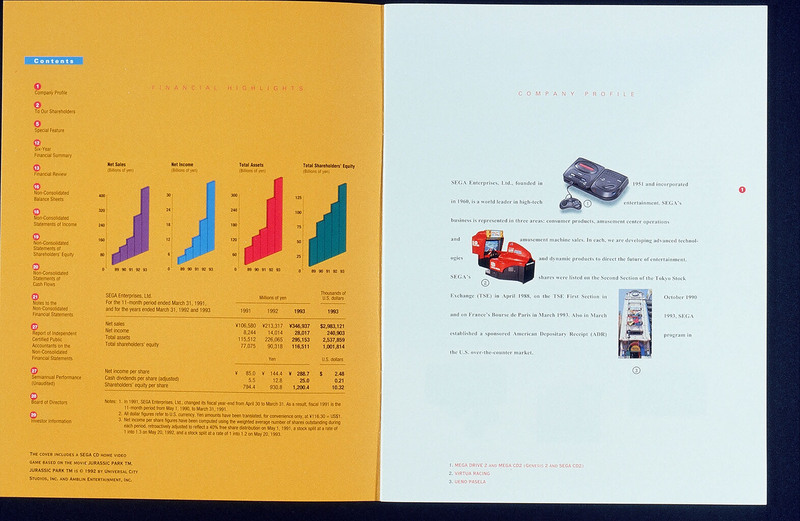 For example, I tried to find this kind of documents for Sega France (which is basically a marketing office for France), but as it closed in the late 90s (then re-opened, then closed again), the documents were lost and it will probably be difficult to fully reconstruct the history of this branch of Sega (even if I still plan to interview some the key protagonists of Sega France). So if someone has some documents of this type, or know where to find it, or has contacts with people working at Sega or one of its subsidiaries that can help me to access some of these archives, I would be highly grateful. I may have others questions to discuss on the long road that awaits me. But if you can help me with those ones, it would be a chance for me. And I would also be happy to discuss my work with you if you like ! Every Sega-related release is in this table, though with nearly 32,000 rows, you're probably better off looking at these. 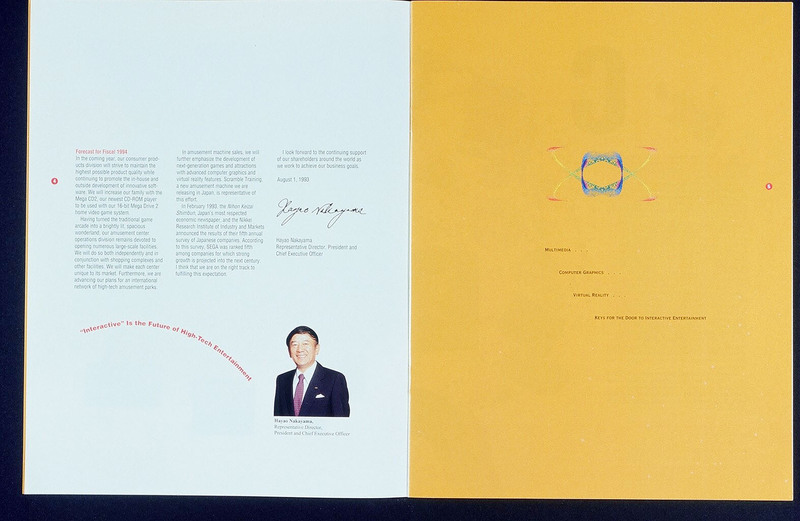 Annual reports should go back to 1988/9 when they listed on the Tokyo stock exchange. Most of those pre-1998 ones were just available physically, although from the mid-90s the results were available on their website, some of which has been archived. For the older ones you might have some luck contacting Sega Sammy investor relations. If you do manage to get hold of some please scan them for the wiki. I attended a talk that he gave at a classic gaming convention last year, where he mentioned his book and interviewing former Sega employees including the fact that he was the last person to interview one of Sega's President's before they died. (Don't remember which and can't look that up right now.) He seems to have done a lot of research on this topic already for his books. Oh my this is interesting.. I am going to watch this with interest because it covers a period in SEGA's history that I was always curious about. Are you sure you aren't thinking of Ken Horowitz, who runs Sega-16? Sam Pettus didn't really interview anybody for that book that you linked, as I recall. His sources are basically old newspaper articles. Ken Horowitz is active at conventions and has interviewed a bunch of former SOA employees. Do you speak/read Japanese? If not, please start studying now. If you really want to get to the heart of the history of Sega as a Japanaese / worldwide company, you're going to have to look beyond the usual accounts coming out of Sega of America. These present a tiny window into the company as a whole. 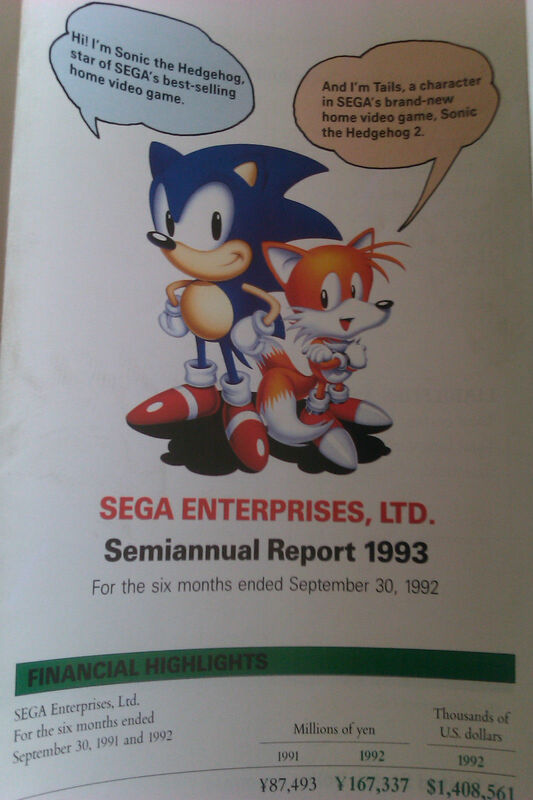 2) The Sega internal newsletter called "Harmony". 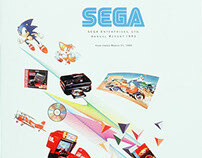 It generally came out every two months for most of Sega's history, and it included: transcriptions of speeches given to the company by executives, charts structuring the company's divisions, introductions of new employees every year, and so on. This newsletter is incredibly rare and closely guarded by those who possess it. You will likely never get access to it, but it's something to seek out at least. 3) The 5-6 books written in Japan in the 1990s about Sega as a business. The best is probably "Game Wars" by Eiji Oshita, which features interviews with Sega president Hayao Nakayama. Together, these do an excellent job of showing how Sega operated as an international company in the 80s and 90s. Other sources like Sam Pettus's book "Service Games" and the "Console Wars" dramatized history are not accurate (to say the least) and should generally not be trusted. This book gives an outstanding picture of how Sony outmaneuvered Sega in regards to manufacturing/distribution/third parties. P.S. : Your thesis description states Sega was "a growing success in Europe and North America from the 1980s, even though it struggled to impose itself in its native archipelago." That's not really accurate - Sega was HUGE in Japan, especially in the 1980s. Of course, I mean its arcade presence. 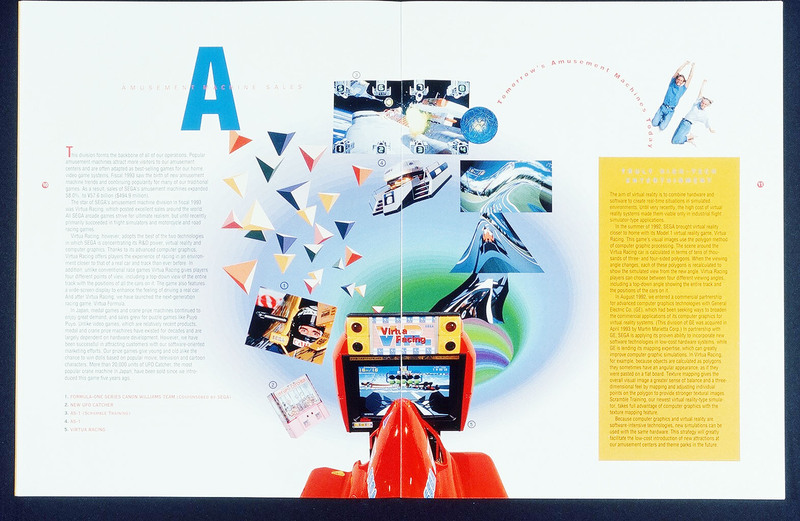 But don't lose sight that Sega was much more than just a console manufacturer. It's console business began as essentially a side project out of its massive success revitalizing the game arcade in Japan. I am also looking for sources from inside Sega : any documents that would reflect the way Sega worked (employees register, communication between the parent company and the subsidiaries, internal memos…) may be interesting. Out of interest, what career opportunities would a PhD about Sega lead to? You're correct. I wasn't familiar with his work and just knew he wrote books and interviewed people about Sega's history. I remember he said that he flew from an island somewhere, and Amazon says Ken is from Puerto Rico, so it must have been him. He was a pretty good presenter too - his slideshow was not working and he managed to talk for the entire hour anyway just telling a lot of interesting stories. Make sure to check sms power as well, for even more information about the 8-bit consoles. Also, their founder Bock is French so you can easily talk to him. Thank you for all your remarks and recommandations. I'll try to respond precisely without being too long ! 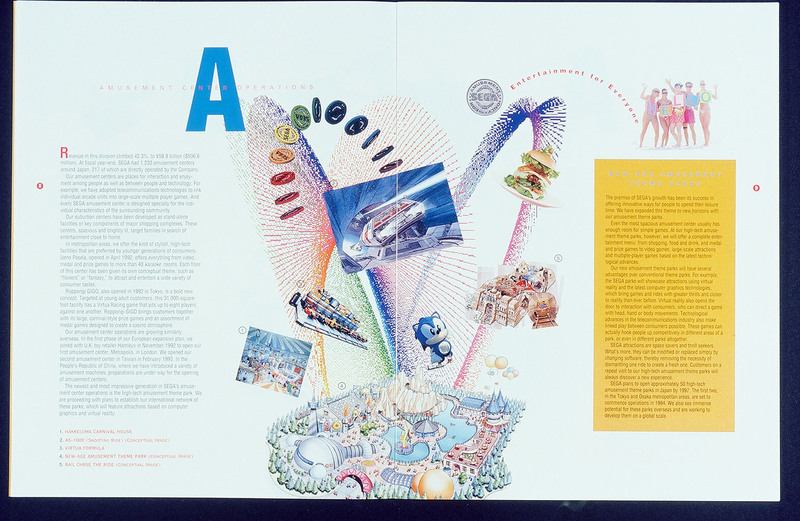 Just to be clear : I don't pretend to make an exhaustive work about Sega's history (would it be possible ? ), I chose to focus on understanding Sega in its different aspects from an international point of vue, wondering how it succedded and failed, to understand better the emergence of video game as a global cultural good. The whole objective of the Sega Retro wiki is to gather information about Sega, so if we had it... it would be on the wiki />/>Every Sega-related release is in this table, though with nearly 32,000 rows, you're probably better off looking at these. Thank you, I didn't find the releases table, that will help ! Thanks a lot for all these materials ! I will try to get in touch with Sega Sammy when I will be in Japan this summer. Count on me to post my discoveries on the wiki. To the OP:Do you speak/read Japanese? If not, please start studying now.If you really want to get to the heart of the history of Sega as a Japanaese / worldwide company, you're going to have to look beyond the usual accounts coming out of Sega of America. These present a tiny window into the company as a whole. I currently have an intermediate level in Japanese, so it is still difficult for me to use Japanese sources for now. But I keep learning and I hope it will be possible to explore Japanese sources more easily within a year or two. So I take any Japanese source that could be useful. 3) The 5-6 books written in Japan in the 1990s about Sega as a business. The best is probably "Game Wars" by Eiji Oshita, which features interviews with Sega president Hayao Nakayama.Together, these do an excellent job of showing how Sega operated as an international company in the 80s and 90s. Interesting materials, thanks for your translation work ! Harmony would indeed be a very interesting source... Maybe Sega of Japan still have an archive of it. I'll try my luck with them. I keep those Japanese books in mind for a future using. Keith Stuart's book has even been translated in French ! I do confirm its usefullness. However, I couldn't find any copy of Playing at the Next Level in France yet... As it is not the first time I hear good about it, I will probably get one soon from the US. Thanks for the last recommandation, I haven't heard about this one yet ! I was indeed thinking about the console market, as it becomes the most dynamic part of video game market in late 80s-90s, as well as consoles get more and more important in Sega's production. But, of course, I do keep in mind that Sega was in a dominant position on the arcade market ! Ahah, well good luck to you too then ! Well, I studied history (mostly Japanese history and cultural history) and became history teacher in high school. With a PhD, I'd like to teach in higher education... and contribute to a better understanding of video game history. I didn't know them, thanks for this recommandation, I'll take a look !